This abandoned hospital resembles a biological hazard sign quite a bit. A coincidence? 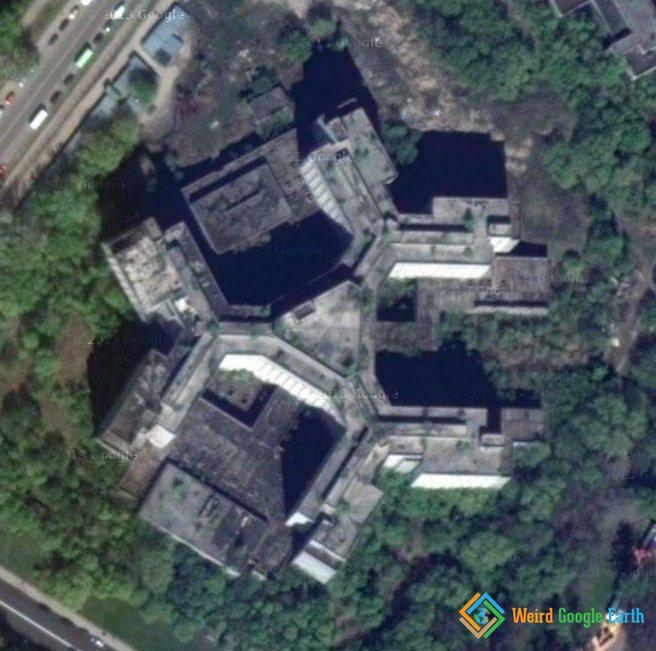 Name: Abandoned Hospital or a Bio-Hazard?